Come and have a horrible time for just £10 with our Student Scare Card, even our Jester thinks that’s a good deal! That’s a great saving of £6.50 on each and every visit to our Dungeons! 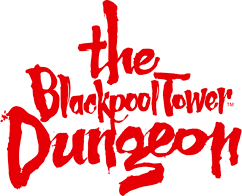 You can get your card at The Blackpool Tower Dungeon admissions desk onsite NOW! The Scare Card gets you into the attraction on the day for £10 all in. For more info on our Student Scare Card, please click here.